About Terminators: Protecting Your Family & Business From Pests For 40 Years! We are a local family owned & operated Pest Control company providing pest control services to the local area for 4o years. We are the Delaware Valley & Philadelphia area’s only locally-owned company providing Bed Bug Treatments using the Cryonite non-toxic system. TERMINATORS has been offering courteous and thorough service to its customers in the greater Delaware Valley since 1975. 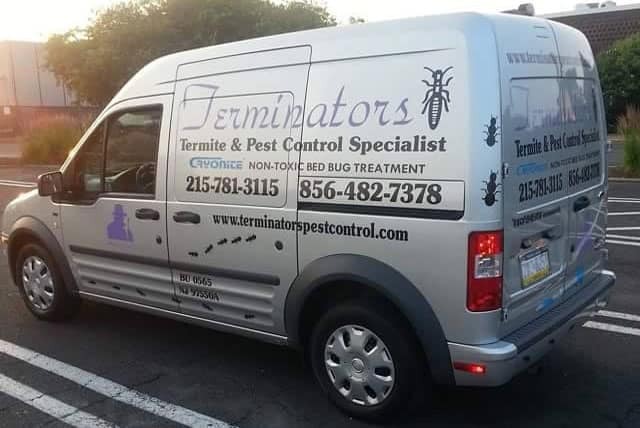 We guarantee that the pests will be taken care of. Our number one priority is to provide you the customer with SERVICE. All Materials are EPA Approved. Licensed in Pennsylvania / New Jersey. Certificate of Liability Insurance is available on request. Appointments Available 6 Days a Week.